Disposable clothing is provided for the treatment but you will want to arrive in soft, comfortable clothes to wear after CoolSculpting. Undergarments left on during treatment may be exposed to a thick gel used for skin protection and may stain. Many patients enjoy watching Netflix or napping during their CoolSculpting treatment. Movement is limited during your treatment so it is not recommended to bring activities to occupy your time. We want you to sit back and relax. Your CoolSculpting technician will begin by asking a few pertinent questions about your recent health history to ensure there are no contraindications for treatment. You will change into provided clothing and the technician will photograph the area to be treated. The provider will mark the applicator placement on your body and you will be able to confirm the treatment plan. A gel pad is applied over the area to be treated and the applicators are placed appropriately for optimum coverage. The first few minutes of the CoolSculpting treatment may be uncomfortable as the tissue is drawn into the applicator and the cooling begins. Most people find that the area goes numb with cold and the remainder of the treatment is comfortable. Each CoolAdvantage CoolSculpting cycle is 35 minutes and CoolAdvantage Plus is 45 minutes. When the applicators are removed the provider will massage the area to destroy up to 68% more fat cells. The treated area may ache for a few minutes after treatment as it warms back to body temperature. If you are treating multiple areas, the provider will proceed with the next application. Once the treatment is complete your provider will apply a compression binder (excludes arm and thigh treatments) and you are able to continue with your day. The compression binder provides post treatment comfort and may be discontinued at any time. Each CoolSculpting treatment area includes two Vibrational Therapy sessions starting 1 week post treatment and spaced 1-2 weeks apart. Vibrational Therapy stimulates lymphatic drainage to enhance CoolSculpting results. **No appointment is necessary for Vibrational Therapy treatments. Following the procedure, a gradual reduction in the thickness of the fat layer will take place. Your body will naturally process and eliminate the injured fat cells for up to four months after your procedure. You may start to see changes as early as three weeks after the CoolSculpting procedure and you will experience the most dramatic results after three months. CoolSculpting is not a replacement for diet and exercise. Weight gain will prevent you from appreciating your full results. Maintaining a healthy diet and exercise routine after your procedure can help prevent this. Schedule a follow-up CoolSculpting assessment 3 months post treatment to have after-photos taken and discuss the option of additional treatments to achieve desired fat reduction. How can I get the best results from CoolSculpting? CoolSculpting freezes fat that is then metabolized through the body. This process relies on the lymphatic system to help with the elimination of the treated fat. As a patient, we suggest that you watch your diet, avoid processed, particularly salty foods and increase your water intake. Moderate exercises daily, such as walking, will also increase circulation and support the lymphatic system. How many sessions are required to see results with CoolSculpting? While some people may see a significant change after one treatment, many clients require two or more sessions for the most benefit. Larger or more stubborn areas may need three sessions to reduce bulk. Although it is impossible to absolutely predict the result, during a consultation our technicians can give you an idea of how many treatments you might need for optimal results. Yes you can. The procedure is completely non-surgical and requires no downtime. Some patients may experience redness, minor bruising, tingling, numbness or discomfort in the treated area, but this is temporary and will resolve completely. 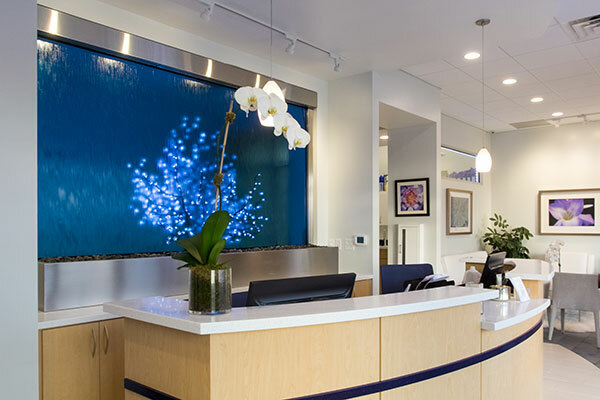 Most patients return to work or normal activities immediately after their CoolSculpting appointment.